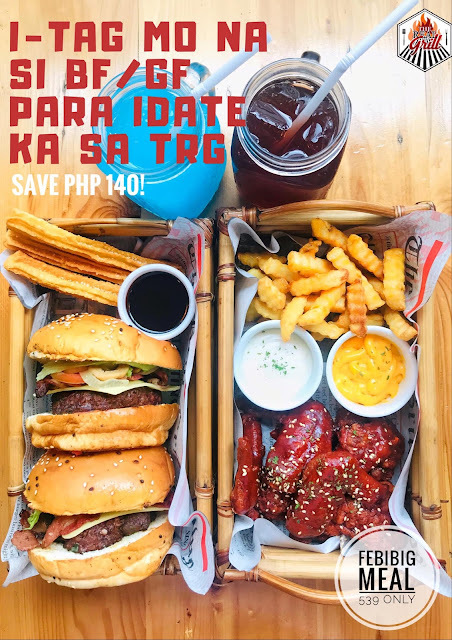 Good news to couples and those who want to give a treat to their loved one because THE REAL GRILL BURGER has a surprise for you. Bring your boyfriend/girlfriend, bff, beshie, mommy, daddy or whoever is important to you and you want to thank. An affordable set meal is available all month of February. Wow, that is so delicious and so full already. You can ivisit THE BEST BURGER in Metro Manila at Ground Level ARCA Strip Commercial Center, McArthur Highway Balubaran Barangay Dalandanan Valenzuela City (Beside Puregold Balubaran Dalandanan). They are open daily from 11:00AM to 10:00PM. You can also visit The Real Grill Burger Facebook page.